250 pieces of various Lake City headstamped 5.56 223 military brass once-fired, reprocessed: cleaned, sized, primer pocket swaged to remove crimp and trimmed but not primed. 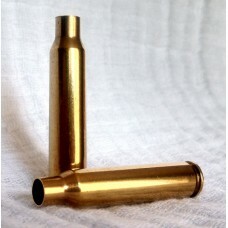 Brass is grade A quality, from military surplus auction, true once-fired. May have very small dings, because it is fired brass.